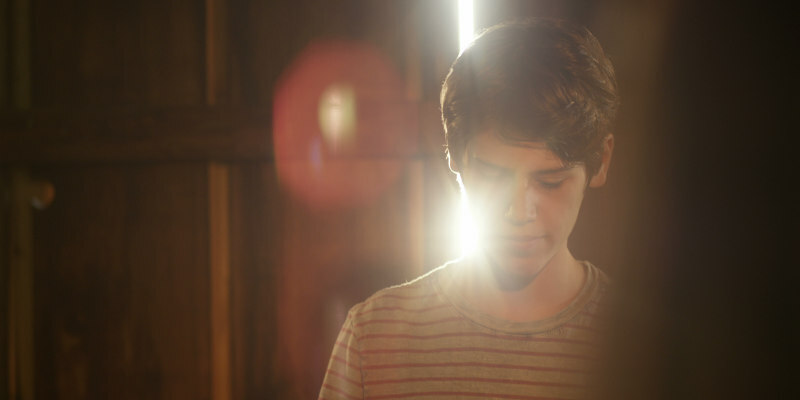 Writer-director Nathan Leon’s Prodigy, nominated for four ICFF Awards including Best Picture, premieres on VOD this December. Many thanks. We tried to create something off the beaten path. There are definitely films and filmmakers that I’ve been influenced by over the years. From strictly a story standpoint I love M. Night Shyamalan’s early films such as Signs and The Sixth Sense. Like Prodigy, those films explore the relationships within a family when unnatural circumstances are introduced. They explore how we as humans react when are put under extreme pressure. I feel these films work because when we find ourselves in situations that make us vulnerable, often times it causes the truest version of our character to manifest. As for the visual aesthetic… Children of Men and the cinematography of Emmanuel Lubezki was a constant reference point during development. He’s great with natural light and I wanted this film to have that same authentic and genuine quality despite the fantasy elements. I felt it needed to be grounded in that same kind of reality to work as a film. The film is very striking - can you tell us about some of the locations? We shot all over Oregon. More specifically, Carlton, Willamette National Forest, and Bend. I knew the movie needed to have a big expansive feel to the images and the world of the story. The setting needed to have a beautiful and supernatural quality to the scenery. Oregon has that in spades. In the early morning hours the light pierces through the morning fog and streams down in these awesome beams of light. I was on a motorcycle ride through Oregon taking all of this in as I crossed from city to city. I knew on that road trip that Oregon was where we needed to shoot our movie. The cinematography was epic and the locations gave us great production value. I love shooting in natural light whenever I can. My DP Michael Street and I had long talks about what we wanted to achieve visually. My goal was to put us in the middle of the woods at the right time of day so that no matter where we turned the camera, we were filming something beautiful. We were in the middle of shooting when some fires took over many of our locations. As it turned out, being forced off our original location was a blessing in disguise. The fires created a smoky haze that filled our scenes and gave them a dreamlike quality. It was like we had fogged the entire wooded location. Having a talented DP like Michael helps a lot too. This is a great question. Movies were much different 20 years ago. For one thing I think a huge budget would have been required which would have changed the intimate character study I wanted at the story’s center. I think I would have been pushed to focus more on the sci-fi and not the family. The way I write and the way my scripts read on the page can cause the reader or producer to say, “Wow, military, dogs, expansive settings, multiple locations, special effects, characters on the road and being chased… this is going to cost a fortune.” That just isn’t the case anymore. With all the great films coming out by indie filmmakers I think Hollywood is taking notice of the guys doing high quality work for a lot cheaper than it used to be done. The tools that are now available have opened up the doors for indie directors like myself. There is still a lot of push back by the guys in power with the money. Some of them still feel like a movie has to have a techno crane and a dolly with 50 feet of track and a rain machine to be a legitimate movie. But now movies shot on an Iphone get into Sundance. I try to split the difference and make the most of the tools I have. Sure a drone can get great aerials, but why can’t it double as a dolly or crane? If it’s shot correctly, the audience doesn’t know the difference, only the filmmakers do. So yeah, to answer your question, I think a bigger budget would have been required and that in turn would have changed the script. Sound is half your movie. Sound design can take your movie to the next level in terms of quality if done correctly. When I write a movie, I don’t just “see” the movie, I “hear” it simultaneously. I write the sound into the screenplay so that I don’t forget what I was planning to do in the edit. Sound married to the right image at the right moment will fully immerse the audience in the headspace of the protagonist. It helps them to identify with the hero on a cerebral level. It would be the equivalent of shifting into the thoughts of a character in a novel. Well, in a movie you can’t always do this without voice over. But you can use sound to help them experience a dream or a nightmare or a flashback that the main character is going through. At least that’s what I always aim to achieve. If the audience becomes a participant in the action rather than merely a spectator, it makes the movie that much more powerful of an experience. I think all of the great filmmakers I watched growing up have amazing sound design in their films. I try to learn from the best then add in my own spin on sound design. How hard is it to ground a film like this, one that’s so etched in the supernatural? It was very difficult and the one thing I stressed over more than anything else. There’s a delicate balance of not losing the viewer in a supernatural movie. You’re making a pact with them early on in the story and basically telling them, “If you trust me and come along on this journey with me, I’m going to take you somewhere interesting and exciting and it will be worth your time.” The moment you stretch their suspension of disbelief too far, you’ve lost them and they quit on your movie. This means that the personal relationships and chemistry between actors within the movie have to be on point. If you're asking the viewer to believe that the end of the world is coming, that’s a stretch of the imagination. They don’t necessarily relate to that because they’ve never had to experience it. However, they will still go for it as long as the interaction between the father and the son and the love interest is relatable and something they can connect to. They need to have something that is grounded in reality. We all have a family or someone we care about and we’ve all been in love, or at least hope we have. That’s the grounding point. There’s an element of faith to the movie. Can you talk about that? Sure thing. It’s one of my favourite topics to discuss about the film. Faith of any sort in movies has been around for a long time and gone through many variations. In Hollywood’s earlier days, putting faith in movies was common. Often times spiritual movies were the Academy Award contenders. The Ten Commandments, The Song of Bernadette, Ben-Hur… and the list goes on. Over time that changed. Nowadays some consider faith to be a taboo subject in film, while simultaneously there is a huge market for it ever since The Passion of the Christ. When faith is preachy or forced on an audience it doesn’t work. Prodigy raises questions about faith in general just as it raises questions about science. These universal questions are brought up in the movie because, let’s face it, everyone has asked themselves these questions at one time or another. The questions we all wrestle with, the questions that make us human. “What happens when I die? Is there something else after this? Why am I alive on this planet?” It raises the questions but doesn’t give the answers. That’s for the audience to decide. Whether the viewer is atheist, agnostic, or Christian, I think Prodigy is a movie they will enjoy and that will have them thinking on why they believe what they believe. At least that’s my intention. I don’t know that there’s any one message for the audience so much as there are multiple themes discussed. As a filmmaker I’m interested in exploring the relationships between our physical world and a possible alternate reality that could be considered supernatural. 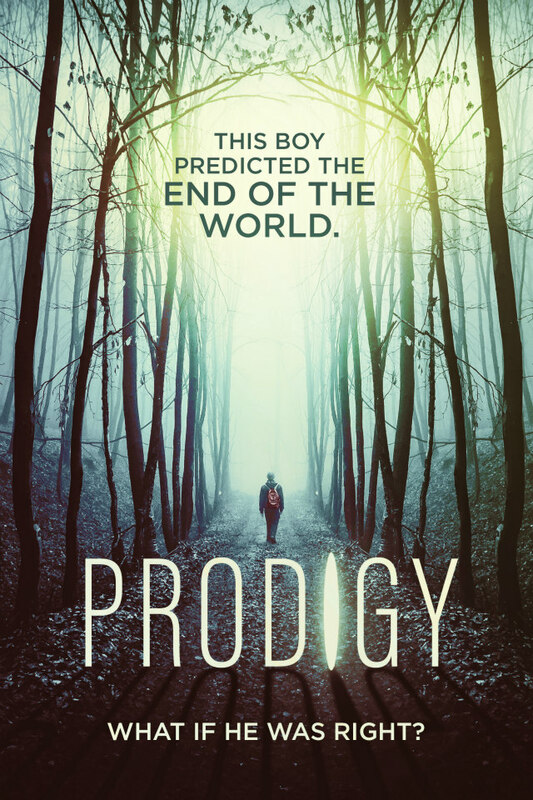 One primary question that’s posed in Prodigy is, “what would happen if there was proof of an afterlife or the supernatural? How would we react? Would it change things? Would we live differently or would it all be ignored and debunked?” To me this was an interesting angle on a movie. I think that no matter what people believe, they are curious about these questions. If there’s an idea that I’d like viewers to take home it’s that no matter how much time we have on this planet it’s not that much time. Our lives are short even if we live to be 100 years old. In the grand scheme of things… that’s nothing. I hope the film encourages viewers to mend broken relationships, and really, truly live life to its fullest potential. I’m fortunate enough to feel that I am able to do that on a daily basis and I hope this movie encourages others to do the same. Prodigy is released December 4th on VOD from Uncork’d Entertainment.